Despite being born into Astorian royalty, Prince Ricard wandered the lands in a fateful ill-conceived journey. 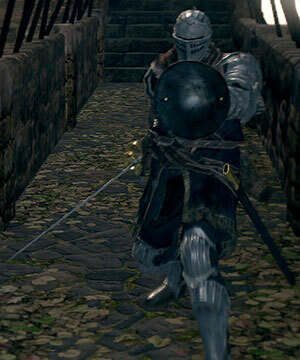 He became undead and disappeared up north, winding up in Lordran. 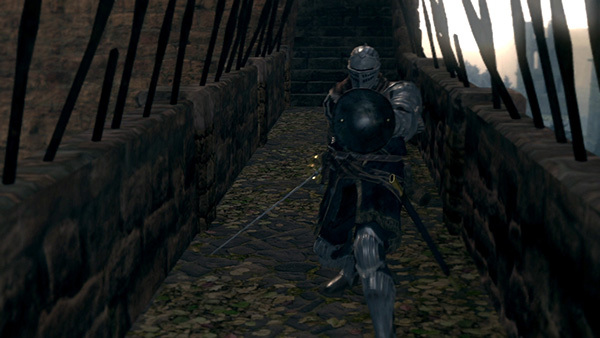 Already hollowed, Undead Prince Ricard can be encountered in Sen's Fortress. At the end of the path after the Heavy Knight, guarding two treasure chests. Always keep him above you, but still in height for attack (best with some forward attacking weapon like a spear) and just smash. He won't be able to actually hit you if you keep your altitude differences. A weapon with lightning-based damage will make this fight quick and easy. A similar bug can be found in parrying and riposting him (with hornet ring) The game appears to register that it is your character that got riposted (without animation), resulting in you character taking as much damage as was inflicted.